Positioned at the heart of southern Colorado’s expansive San Luis Valley and ringed by the majestic Sangre de Cristo Range’s 13,000- and 14,000-foot peaks, Alamosa is home to some of Colorado’s most legendary landscapes. Curious geologic wonders, glistening alpine lakes, eye-opening mountain views — there’s so many special sights to encounter via hiking trails in Alamosa and surrounding areas. Consider one of these locals’ favorites. See the largest tree in the Rio Grande National Forest and take in gorgeous viewpoints of forest-carpeted Del Norte Peak on the Cross Creek Trail. Camping is available at Cross Creek Campground, which offers access to primo fishing at Beaver Reservoir and Beaver Creek. While you can drive up to nice glimpses of this geologic wonder created by volcanic flow more than 30 million years ago, visitors can gain closer views by hiking toward the arch. Nearby Penitente Canyon — a beloved rock-climbing destination with volcanic origins — is also worth a ramble. This gentle stroll leads to Million Reservoir, a 4-acre gem known for its large population of rainbow trout and iridescent waters. Bring your fishing gear — there are plenty of quiet spots to arch your line. 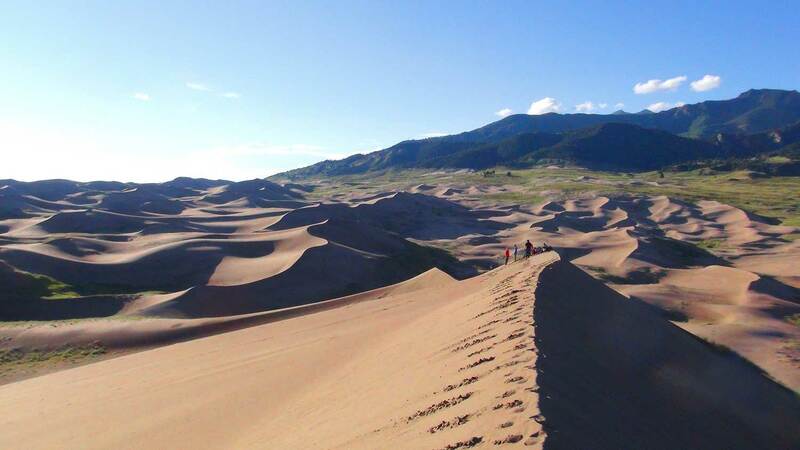 While there aren’t any designated trails within the 30-square-mile dune field, a walk in the much-adored Colorado icon is a must. Summit the Star Dune — the tallest in North America; or try the 1/4–mile Sand Sheet Loop Trail, which offers a peek at the park’s lesser-known prairie ecosystem and chances to spot prairie wildflowers, pronghorns and short-horned lizards. Situated in the South San Juan Wilderness, this trail winds through thick spruce and fir woodlands and vast meadows to Blue Lake, a placid beauty flanked by volcanic rock bluffs. 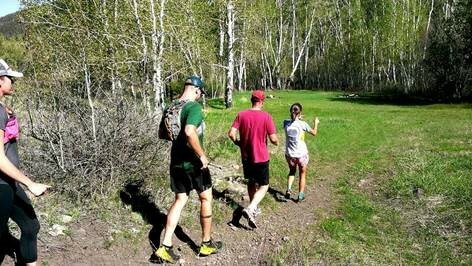 For those seeking a longer trek, the route connects with the Continental Divide Trail at the lake’s southern tip. 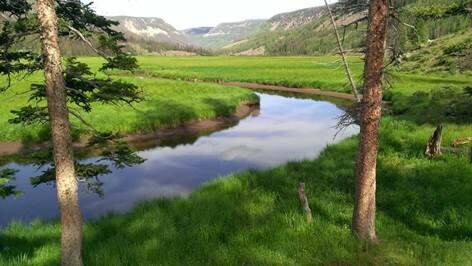 A favorite of local anglers, Elk Creek Trail follows Elk Creek from its confluence with the Conejos River to the waterway’s upper reaches. Discover a wide variety of terrain, including sprawling valleys, volcanic rock cliffs and deep gorges. Stunning panoramas of a forest-framed lake and the Continental Divide steal the show on this route, which gently climbs La Manga Creek Valley to the top of an alpine plateau. Keep your eyes peeled for elk and bighorn sheep. A Colorado Birding Trail, this route teems with opportunities to encounter the area’s feathered inhabitants, including the Western bluebird, red crossbill and pygmy nuthatch, and several species of butterflies. Start at Cathedral Campground and journey through peaceful ponderosa pine forests. Those who complete this out-of-the-way trail in the La Garita Wilderness are rewarded with unparalleled views of the Wheeler Geologic Area, a collection of unusual rock formations carved by the elements out of volcanic tuff. Primitive camping is available less than a mile from the area; stay overnight to see the spires expose their multicolored beauty at dawn and dusk. While this calf-burning trek features a 2,300-foot elevation gain and many switchbacks, enchanting sights of Rough Creek Waterfall and the Conjeos River Valley make the workout worthwhile. Shady camping is available on the shores of Ruybalid Lake. 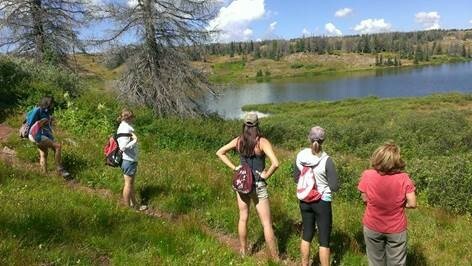 Hike through conifer and aspen forests to San Francisco Lakes, which are cradled by a tranquil sub-alpine meadow and 13,209-foot Bennett Mountain (dubbed Ole Baldy by Spanish explorers). 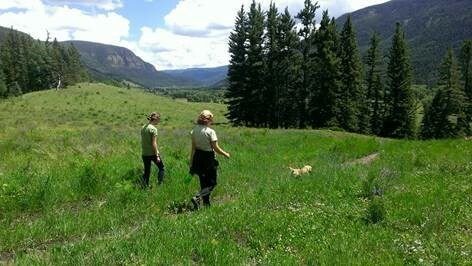 The trail is also popular with mountain bikers and sportsmen on horseback during big-game hunting season.